Our technologically developed Heavy Fabrication Products are used chiefly in gas and oil industry for the purpose of managing steam pressure and regulating them. These are made from high grade metal alloy that is coated with special layer that make them rust proof. These fabricated products are developed in a way that these require minimum maintenance and can be customized as per the requirement of our prestigious clients. Some of these products include industrial steam drums, steam condensate pots, deaerator tanks etc. 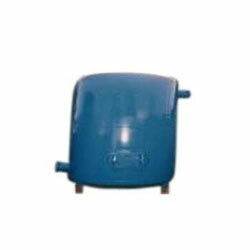 Our prime quality Air Receivers are tanks that are specifically used for storing compressed air and are preferred to be in all compressed air system. Our air receivers are developed on the international safety standards. These help in reducing the dew point and temperature spikes that follows regeneration, contribute to reduce energy cost by minimizing electric demand charges associated with excessive starting of the compressor motor and decreases wear and tear on the compression module, capacity control system and motor by reducing excessive cycling. 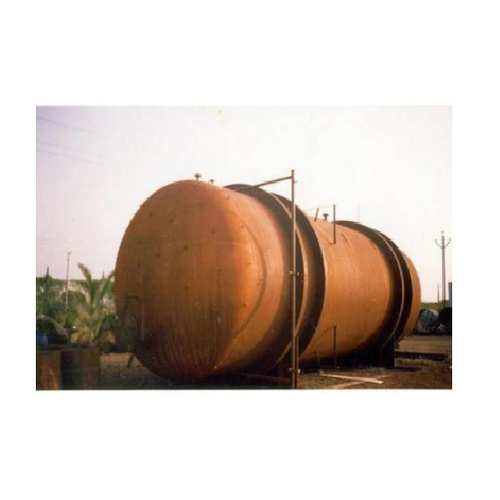 The technologically designed Deaerator Tank is widely used in for removal of oxygen and other dissolved gases from the feed water to steam generating boilers. These are available in various shapes according the requirement of operating conditions, like vertical dome deaerator for small power stations or industrial applications and horizontal dome deaerator for fossil fired power stations or industrial applications are preferred. Moreover, the deaerators in the steam generating systems of most thermal power plants use low pressure steam that is received from an extraction point in their steam turbine system.